Who is Cavern of Dreams Publishing and Editing Services? Cavern of Dreams Publishing was established in 1998 by Mary M. Cushnie-Mansour to publish her writing and the works of other local authors. In 2011, Mary welcomed Bethany Jamieson-Mansour to her team as Editor-in-Chief for the company. Mary and Bethany worked closely on several projects, and after considerable deliberation, due to a much-needed service/demand, in 2013, they made the decision to provide editing and publishing services to the public. In 2015, they launched a fundraising initiative, Fundraising with Books, which offers high-quality Canadian publications for adults and youth to schools and organizations to assist their fundraising goals. In 2017, Mary officially handed the reins of the company over to Bethany, as she shifted focus to her writing. Wanting authors to know they were more than just a publisher, and are dedicated to providing well-edited books to authors and readers alike, the company became Cavern of Dreams Publishing and Editing Services. 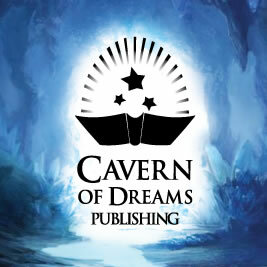 Cavern of Dreams Publishing and Editing Services is the in-between choice between traditional publishing houses and the self-publishing POD (print on demand) companies, earning a reputation as a small publisher with a personal touch. Their editors work closely with their authors to produce professionally polished books the authors can be proud to call their own. They stay in line with proper book editing practices and always keep the author’s voice a high priority. Cavern of Dreams Publishing: making dreams come true since 1998.